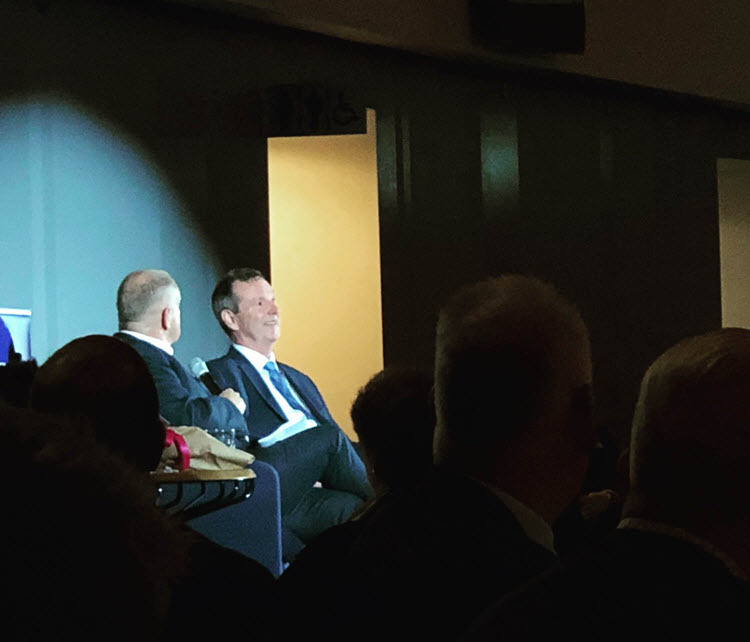 Neale Daniher – August 2018 – Geelong Business Club Inc.
Former Essendon captain and Melbourne coach Neale Daniher was our guest presenter on Monday the 3 August 2018 and what an inspirational night it was. It would appear to be our most-attended meeting of the year and Neale certainly did not fail to deliver. Whilst his health is in serious decline you must take your hat off to a man who continues to fight the fight against Motor Neurone Disease (MND) and, for all intents and purposes, has become the face of the fight against MND here in Australia. As the author of this particular blog I have attended many meetings but have never witnessed a standing ovation – until this night. Any wonder given Neale’s fight and his spirit. His anecdotes were light-hearted and funny and, dare I say, “took the piss” out of his dire predicament. His love of life was contagious and the fact he is with us today is a miracle. I didn’t take notes but from what he said I believe most people diagnosed with MND have a prognosis of 18 months to two years. Five years down the track he is still walking, however it was quite clear that this insidious disease is taking its toll on his body. For those that were there it was as an incredibly memorable night and I think you can consider yourself blessed if you were in the audience. If you weren’t there it’s not too late help. See the link below to donate. To help Neale fight MND requires the efforts of many people and ongoing donations. There are multiple and very easy ways to donate.